We took the bride and groom after the ceremony for a photo shoot around Rancho Las Lomas. 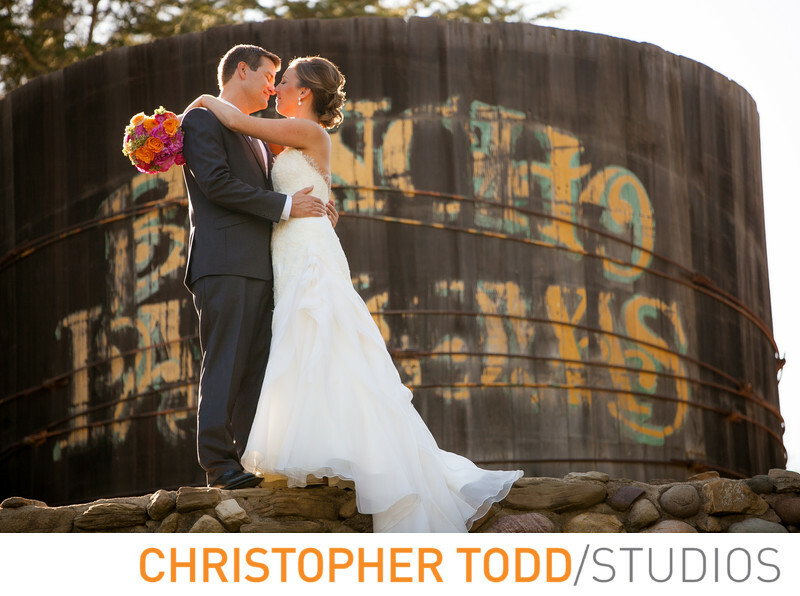 Here the couple is standing in front of the historic water tower. The natural light was perfect for the portrait. Location: 19191 Lawrence Canyon Silverado, CA 92676.